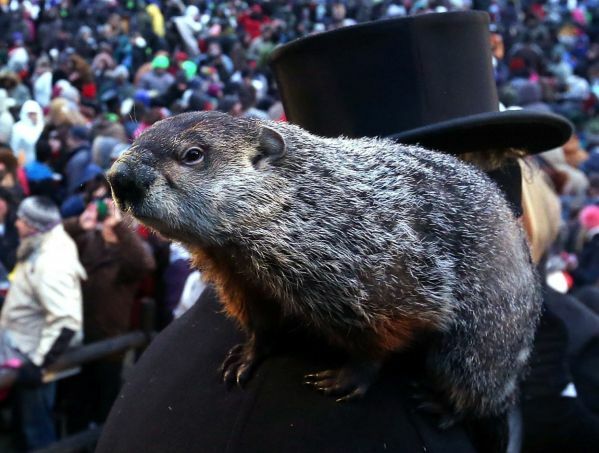 On February 2, Groundhog Punxsutawny Phil emerged from his house and saw his shadow, guaranteeing six more weeks of winter. In an unpreceented move, The Fuller Center for Housing has since seized his home and given it to a more deserving family of opossums — at least until Phil decides to reconsider whether he actually saw his shadow. Ever since then, the news from The Fuller Center and its covenant partners has been much more positive. Here’s a look at some of the goings-on from the past month. Our friends Boots and Ramsay Walker are starting a new Fuller Center covenant partner in Lampang, Thailand — Boots’ hometown — and have hit the ground running on their first home project. See photos here. Another new international partner, The Fuller Center of Bamenda, Cameroon, has completed its first project. Click here for the full story. Earlier this week, our Director of International Field Operations Ryan Iafigliola completed his annual report on our international efforts in 2014. It turned out to be a record year for homebuilding and Global Builders volunteer participation! Learn more here. President David Snell touched on the growth we are seeing in his latest blog post, noting how faith over faithlessness always seems to produce great results. Read more here. The Fuller Center of Henry County made Valentine’s Day extra special for an elderly woman and her family in Stockbridge, Ga. Click here for coverage of that project. KTBS-TV takes a look at how the Fuller Center of Webster Parish in Louisiana honored a longtime supporter by dedicating a house build to them. Click here. The Daily News Journal of Smyrna, Tenn., offers this piece about Lindsey Bawcom, who will be riding across the country this summer with our Bicycle Adventure to raise money for a Fuller Center covenant partner she and others are looking to bring to an area just south of Nashville. The Kansas City Star published this excellent piece about a family who went above and beyond in completing their sweat equity hours in the building of their Fuller Center home. One of the most interesting projects we have going on right now is in Greenwood, Miss., where The Fuller Center is placing unused and donated Hurricane Katrina cottages on solid foundations and turning them into beautiful new homes in the Baptist Town neighborhood (which you may have seen parts of in the acclaimed movie "The Help"). Learn more about it here. Dedicated volunteers Sona and Leo Maneulian, as well as our partners in Armenia, are featured in this MassisPost article about our continuing work there. And, Linda Fuller, who celebrated a birthday this month, dropped by to meet with Chattahoochee Fuller Center Project Director Kim Roberts to promote June’s inaugural Lind-A Hand build for women. Linda and Kim talk about it in this short video. Be sure to check FullerCenter.org and Facebook.com/FullerCenter often for ALL the news and updates from The Fuller Center’s work across America and around the world.